Daniel Padilla's Instagram account was hacked Monday, his love team, Kathryn Bernardo, said. KathNiel fans accuse one JD Baltazar as the hacker. The news was confirmed by Star Magic public relations officer Thess Gubi. She told media that the teen actor is in transit and would only be reached for comment after he arrives from the United States early Tuesday morning. The hashtag #FOJD became a trending topic on Twitter because of the incident. Fans of the love team held one person responsible. 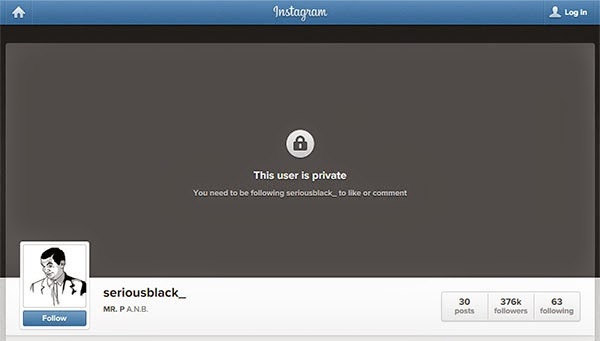 Baltazar, according to them, hacked Daniel Padilla's Instagram account (seriousblack_), changed the profile display photo, and switched the account to private, based on the captured screenshots from their respective Instagram accounts. Baltazar is a friend of Padilla, but he's been called "traitor," "user," "famewhore," and "secret career wrecker" by KathNiel fans. They also accused him of uploading the audio scandal involving Padilla in late September last year. In an interview, Padilla admitted that it was indeed him behind the voice in the controversial audio recording. He revealed that a friend (Baltazar, as alleged by KathNiel fans) secretly captured a video of their conversation and uploaded it on YouTube. So far, there's is no unusual activitiy yet on Daniel Padilla's Instagram account that got hacked.